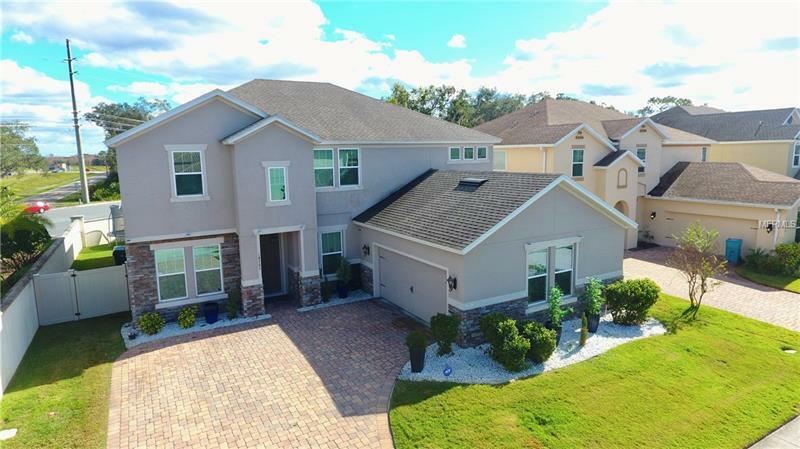 5 BED/ 4 FULL BATHS, GAME ROOM, OFFICE/ STUDY ROOM, MOVIE THEATER, WINE CELLAR, water filter, 4000 SF Luxury and upgraded home in LAKE NONA, CAMELLIA MODEL by MERITAGE HOME. Build 100% ENERGY STARÂ® certified Open two-floor entry, formal dining room, open kitchen with an island, LG APPLIANCES PREMIUM, guest room. Second floor Master Suite features a corner tub, separate shower, and his & her vanities. Chandelier and celling fans with LED lights in every room. 60K IN UPGRADES IN THE HOUSE, (mirror in the dining room, 3d panel and mirror in the living room, blinds and curtains in all rooms, waterproof vinyl floor with 10 years warranty, sliding shower door, backyard fence). LOCATED IN LAKE NONA - a Medical City, a Sports & Performance District highlighted by USTAâs New Home of American Tennisâthe largest tennis facility in the worldâdiverse work spaces, recreational facilities, retail centers and entertainment venues.